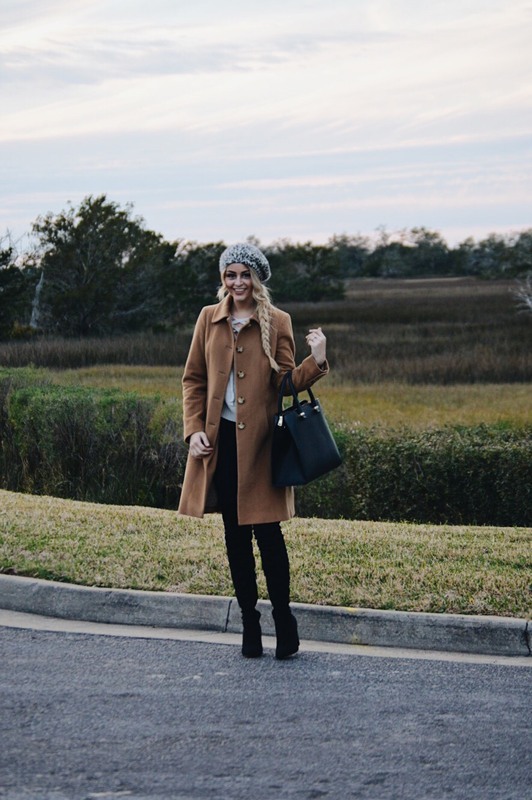 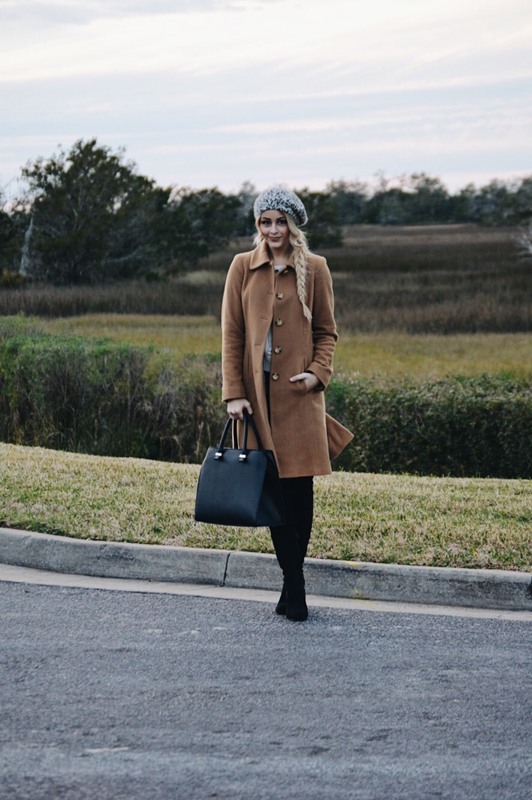 There have been a handful of pieces in my wardrobe that I have been reaching for again and again over the past few weeks- my camel coat (last seen here), my black OTK boots and my leopard beret (last seen in this post.) 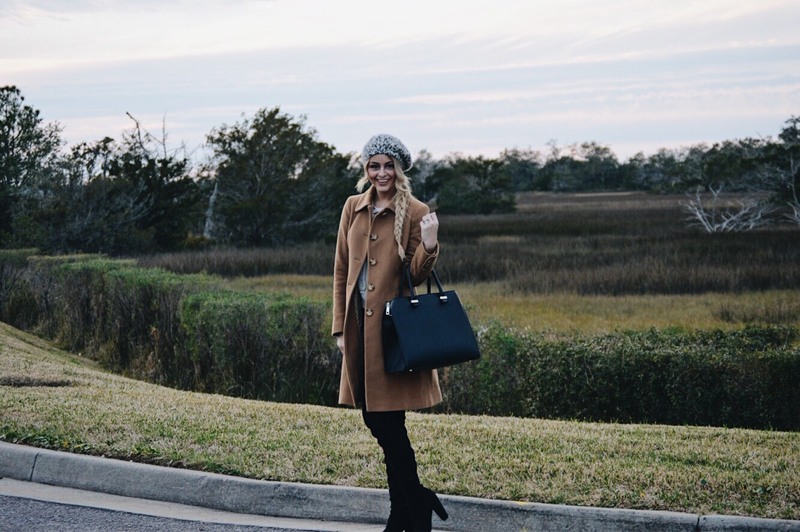 I just love that all these items can be worn on repeat and allow for so many different styling options. 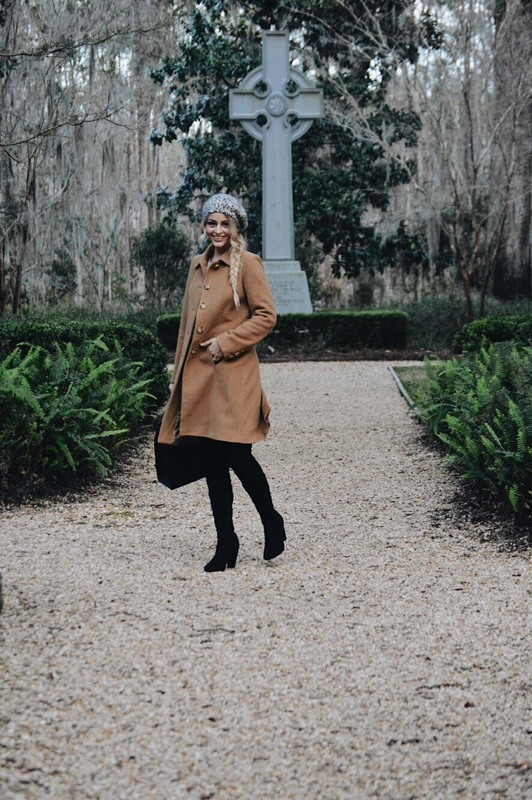 For an afternoon trip over to St Simons Island a few weeks ago, I paired my go-to pieces with dark wash jeans and this knit lace up sweater from Romwe. 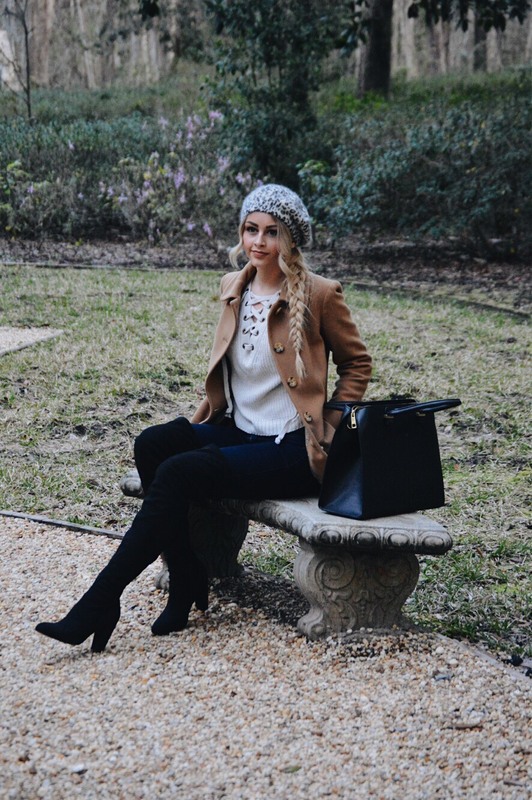 The lace up design on the sweater makes the look a bit edgy, but when paired with a classic coat and a cashmere beret, the look becomes much softer and feminine.